I put on my blog that I wrote an email to all 10 of my son’s new teachers. I know that they all are supposed to receive his IEP but lets face it… they are busy and may not have a chance to really read it before school starts next week. So I took a chance and emailed them all. I have heard back favorably from two teachers already and let me tell you… Both Jay and I are feeling a LOT better about school starting because of it. Many asked what I wrote. Actually it is a bit of everything. I tried to keep it light and positive and to make sure that the teachers understand that we are a team and I want to work with them to make this a great year for my boy! Incase you are thinking about doing a letter, I thought I would post mine here. feel free to borrow anything if you it works for you. Any teachers out there I would love to hear what you think a bout this too. Okay so without further ado… here is my email letter. I know how busy you all must be getting ready for the new school year and I certainly do not mean to take up too much of your valuable time; however, I did think it was important for me to send you this email and to introduce myself and my son to you. My name is Sharon Fuentes and I am the very proud mother to one of your new 6th grade students, Jay. 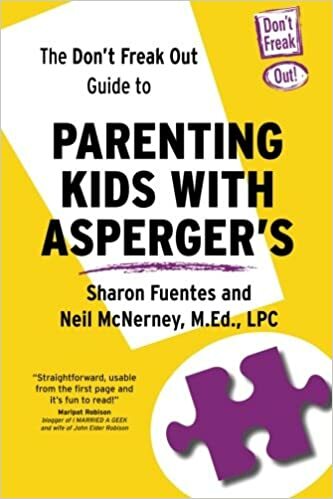 I know I am bias, but as you will soon find out for yourself, Jay is a great kid who is funny, smart and oh yeah… happens to have Asperger’s Syndrome- High Functioning Autism. I am sure you will be getting his IEP with all his info soon, but many teachers have told me in the past that getting this type of informal email is actually even more helpful. Besides, it will catch you up on things that have happened over the summer which you will not find in his IEP. What is not listed on his IEP is that Jay also has Dysgraphia and writing and other fine motor skills can be very hard for him. He is a bit clumsy, unorganized and his handwriting is very large and almost unreadable. It is for this reason that he has always used a NEO2 in class. His IEP says he is to have access to a computer for anything over a paragraph. Here is the thing… Jay does not want to appear different and may fight you on this. Many times in the past the teachers have let him try to write what he can and then when he tires encourage him to use the computer. It is also written into his IEP that he is to get copies of all classroom board notes and to be able to have a scribe or to verbally tell you an answer for a test. I can go on and on but I know you are more than capable of reading his file, not to mention that Jay himself will tell you many things. So I will get straight to the real reason I am writing this. What has changed since the end of the last school year? We moved this summer. Granted it was just to a different house and literally down the street from our other, but still change is change and Jay does not like CHANGE! He has been doing really well and hopefully this will not affect him in school in any way! This scale makes sense to Jay so much that he is the one that asked me to tell you all about it. Basically the way it works is let’s say Jay starts doing something in your class, like Blurting out answers. Well you could simple walk over to him and whisper, “Jay blurting out answers is a 4.” Then Jay would be able to understand that when he does that it is perceived as annoying to other students and to you the teacher. He can now correct his behavior because he understands why he is not supposed to do it! Brilliant isn’t it? Wish we would have discovered this years ago! Seriously, my intention by this was not to tell you how to do your job. I respect you all too much for that. Besides, I am sure that you all have far more experience dealing with kids like my Jay then I do. What I do have experience with is… WELL MY BOY! My goal behind this was to open up a great line of communication so that we can all have a great school year. Please know that I am open to suggestions. I am not one of those parents who thinks they know it all. Heck I say all the time that I am making this stuff up as I go and honestly what works today I am well aware may not work tomorrow. But if you find something is working in your class… PLEASE share it with me so we can try it at home to. Consistency really works with Jay. I have attached the communication Log that we used last year. I know it is asking a lot, but I did have it written into his IEP that you all are to fill it out each day. I know how hard that is, but seriously it is the only way that I know what is going on with Jay, and if we need to change things up or not. So I thank you in advance for taking the time to use this sheet. You will see it really will make a difference. If there is anything I can do to help you all, let me know. I ask a lot of my kid’s teachers, but I am willing to give just as much myself. I would love to see the communication log sheet that you use with Jay’s teachers. Would it be possible to show us what it looks like? I’m always looking for a better way to keep up communication between my non-verbal son’s teachers and myself. Thank you so much!